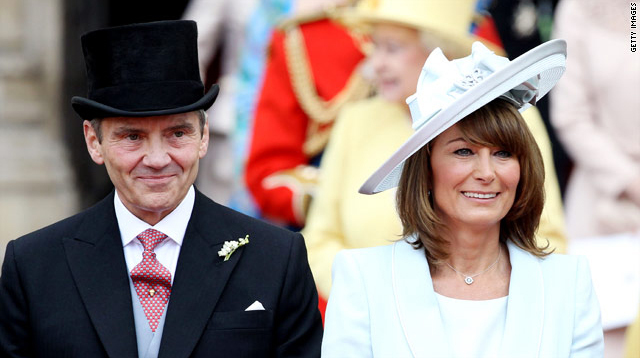 I just couldn’t resist posting a little something about the hats worn at the royal wedding…. the good, the bad and the ugly! Which one is your favorite? And you can’t just pick David Beckham because he’s a hot! 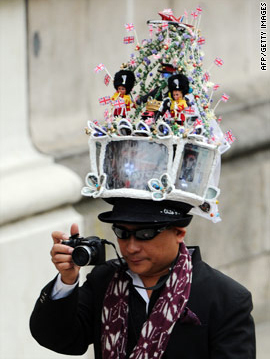 A royal wedding supporter catching a quick pic. Another couple of supporters of the royal wedding. 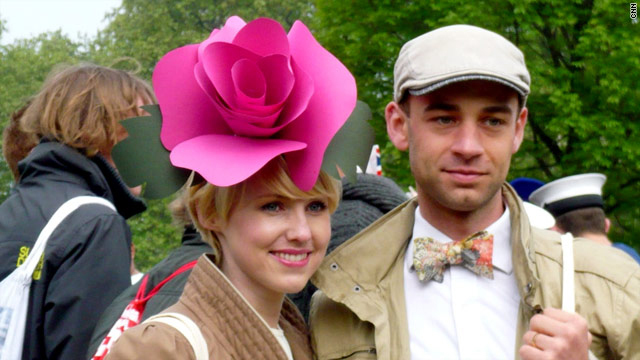 That looks like a DIY hat…and I kinda’ like it! look too shabby in just jeans and a t-shirt! A prim and proper looking wedding guest. Tara Palmer-Tomkinson and another wedding guest.